Buy physical gold coins or bullion. All 3 methods are great ways to invest in gold, but physical gold in the form of coins or bullion is one of the best and most enjoyable ways to invest in gold for the long term. One of the biggest benefits of physical gold is that you own the metal and don't need to worry about transaction costs associated with other types of gold investments. Point D is the next top in the trend. The distance from Point A to Point B is equal to Point C to Point D.
5 Reasons Why Trends Are Your Friend? Have you heard the saying that trends are your friend. Well there is a lot of truth to that saying, let me share 5 attributes to why this statement is true for all traders. "A common beginner question to trading is what exactly is Price Action? Well, good question, let me sum it up for you." By breaking down his trading system into its simplest pieces: institutional piggybacking or trend trading, trading ranges, and transitions or reversals (the focus of this book), this three book series offers access to Brooks' successful methodology. 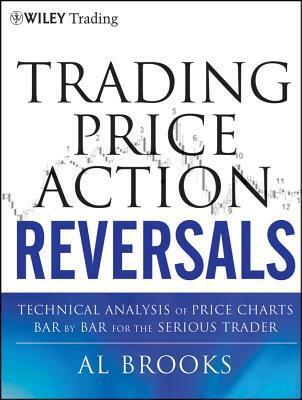 Trading Price Action Reversals reveals the various types of reversals found in today's markets and then takes the time to discuss the specific characteristics of these reversals, so that you can use them in your everyday trading endeavors. While price action analysis works on all time frames, there are different techniques that you can use in trading intraday, daily, weekly and monthly charts. This, among many other issues, is also addressed throughout these pages. If you're looking to make the most of your time in today's markets the trading insights found in Trading Price Action Reversals will help you achieve this goal. 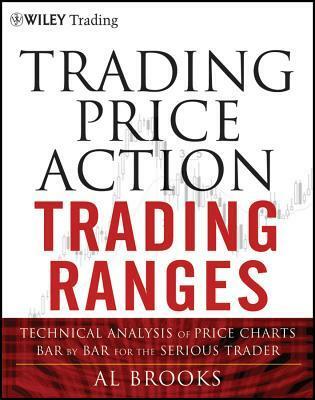 Throughout the book, Brooks focuses primarily on 5 minute candle charts—all of which are created with TradeStation—to illustrate basic principles, but also discusses daily and weekly charts. And since he trades more than just E-mini S&P 500 futures, Brooks also details how price action can be used as the basis for trading stocks, forex, Treasury Note futures, and options. For your convenience, a companion website, which can be found atwiley.com/go/tradingtrends, contains all of the charts provided in the book. The Tenkan Sen / Kijun Sen Cross signal occurs when the Tenkan Sen (Turning line) crosses the Kijun Sen (Standard line). A weak bullish signal occurs when the cross is below the Kumo. A neutral bullish signal occurs when the cross is inside the Kumo. A strong bullish signal occurs when the cross is above the Kumo. A weak bearish signal occurs when the cross is above the Kumo. A neutral bearish signal occurs when the cross is inside the Kumo. A strong bearish signal occurs when the cross is below the Kumo. The Kijun Sen Cross signal occurs when the price crosses the Kijun Sen (Standard line). Many traders are asked what indicator they would wish to never do without. The answer has never wavered as there is one indicator that clearly illustrates the current trend, helps you time entries, displays support and resistance, clarifies momentum, and shows you when a trend has likely reversed. That indicator is Ichimoku Kinko Hyo or more casually known as Ichimoku. Ichimoku is a technical or chart indicator that is also a trend trading system in and of itself. The creator of the indicator, Goichi Hosada, introduced Ichimoku as a “one glance” indicator so that in a few seconds you are able to determine whether a tradable trend is present or if you should wait for a better set-up on a specific pair. Before we break down the components of the indicator in a clear and relatable manner, there are a few helpful things to understand. Ichimoku can be used in both rising and falling markets and can be used in all time frames for any liquid trading instrument. The only time to not use Ichimoku is when no clear trend is present. The cloud is composed of two dynamic lines that are meant to serve multiple functions. However, the primary purpose of the cloud is to help you identify the trend of current price in relation to past price action. Given that protecting your capital is the main battle every trader must face, the cloud helps you to place stops and recognize when you should be bullish or bearish. Many traders will focus on candlesticks or price action analysis around the cloud to see if a decisive reversal or continuation pattern is taking shape. In the simplest terms, traders who utilize Ichimoku should look for buying entries when price is above the cloud. When price is below the cloud, traders should be looking for temporary corrections higher to enter a sell order in the direction of the trend. The cloud is the cornerstone of all Ichimoku analysis and as such it is the most vital aspect to the indicator. Once you have built a bias of whether to look for buy or sell signals with the cloud, you can then turn to the two unique moving averages provided by Ichimoku. The fast moving average is a 9 period moving average and the slow moving average is a 26 period moving average by default. What is unique about these moving averages is that unlike their western counterparts, the calculation is built on mid-prices as opposed to closing prices. I often refer to the fast moving average as the trigger line and the slow moving average as the base line. The Ichimoku components are introduced in a specific order because that is how you should analyze or trade the market. Once you’ve confirmed the trend by recognizing price as being below or above the cloud, you can move to the moving averages. If price is above the cloud and the trigger crosses above the base line you have the makings of a buy signal. If price is below the cloud and the trigger crosses below the base line you have the makings of a sell signal. In addition to the mystery of the cloud, the lagging line often confuses traders. This shouldn’t be the case as it’s a very simple line that is the close of the current candle pushed back 26 periods. When studying Ichimoku, I found that this line was considered by most traditional Japanese traders who utilize mainly Ichimoku as one of the most important components of the indicator. Once price has broken above or below the cloud and the trigger line is crossing the base line with the trend, you can look to the lagging line as confirmation. The lagging line can best confirm the trade by breaking either above the cloud in a new uptrend or below the cloud in a developing downtrend. Looking above, you can see that the trend often gathers steam nicely after the lagging line breaks through the cloud. Another benefit of using the lagging line as a confirmation indicator is that the lagging line can build patience and discipline in your trading because you won’t be chasing the initial thrust but rather waiting for the correction to play out before entering in the direction of the overall trend. 1.Where is Price in Relation to the Cloud? 2. Is price consistently on one side of the cloud or is price whipping around on both sides consistently? 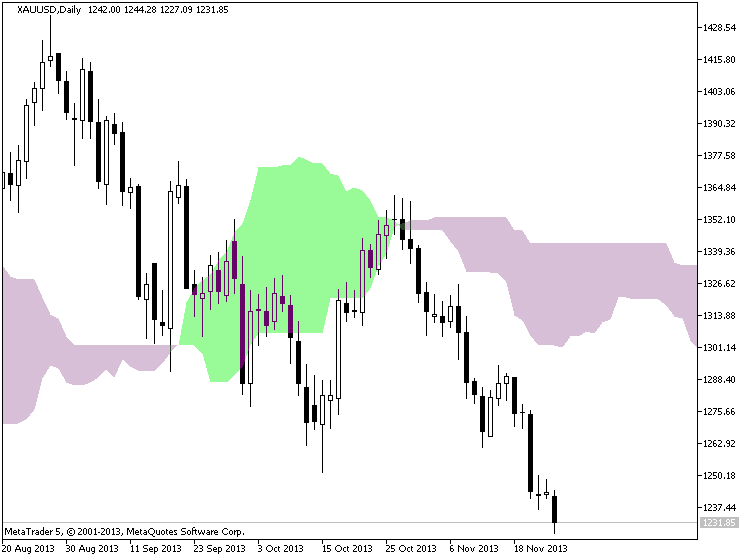 Ichimoku is best used with clear trends and should be set aside during ranging markets. 3. Which level of the Ichimoku would like to use to place your stop? If you use Ichimoku to place stops as well, you can either use the cloud or the base line. A variety of integration gateways to liquidity providers and stock exchanges have recently been developed for MetaTrader 5 trading platform. Using these solutions, brokers now can greatly improve their business and enter new markets. We have decided to summarize the first integration results and make a list of already working MetaTrader 5 gateways. Our gateways not only give access to liquidity providers but also provide maximum speed of executing operations. Moreover, these gateways are fairly simple and secure solutions allowing brokers to quickly connect to a provider and use its services. MetaTrader 5 platform's versatility makes it easy to expand the brokerage business and enter new markets. For example, any Forex broker can start working on a stock exchange, as well as a stock broker can launch the platform on an exchange and then enter Forex market. In any of these cases, all MetaTrader 5 technologies and services (social, mobile and algorithmic trading, as well as the market of trading robots) retain their functionality and remain attractive to traders. The platform's features go beyond the proposed list, and the works on integration of MetaTrader 5 with other stock exchanges and liquidity providers are currently underway. Besides, Gateway API allows brokers to develop a gateway to any system or exchange on their own. Some brokers have already done that, while the proposed interfaces have greatly simplified their work. Moreover, API allows development of a hybrid ECN engine with multiple providers. That engine will act as trading server's own ECN platform. This book sheds insight into the ways and means of the Oracle of Omaha. 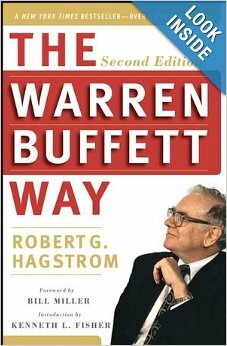 Warren Buffett's thoughts are insightful and his methods may yield fruitful rewards for investors with enough patience to learn them, understand them and apply them correctly. The term scalping elicits different preconceived connotations to different traders. Despite what you may already think, scalping can be a viable short term trading methodology for anyone. So today we will look at what exactly is scalping, and who can be successful with a scalping based strategy. So you’re interested in scalping? A Forex scalper is considered anyone that takes one or more positions throughout a trading day. Normally these positions are based around short term market fluctuations as price gathers momentum during a particular trading session. Scalpers look to enter the market, and preferably exit positions prior to the market close. Normally scalpers employ technical trading strategies utilizing short term support and resistance levels for entries. While normally fundamentals don’t factor into a scalpers trading plan, it is important to keep an eye on the economic calendar to see when news may increase the market’s volatility. There is a strong misconception that all scalpers are high frequency traders. So how many trades a day does it take to be considered a scalper? Even though high frequency traders ARE scalpers, in order for you to qualify as a scalper you only need to take 1 position a day! That is one of the benefits of scalping. You can trade as much or as little as you like within a giving trading period. This also falls in line with one of the benefits of the Forex market. Due to the 24Hr trading structure of Forex, you can scalp the market at your convenience. Take advantage of the quiet Asia trading session, or the volatile New York – London overlap. Trade as much or as little as you like. As a scalper the choice is ultimately yours to make! There are always risks associated with trading. Whether you are a short term, long term, or any kind of trader in between any time you open a position you should work on managing your risk. This is especially true for scalpers. If the market moves against you suddenly due to news or another factor, you need to have a plan of action for limiting your losses. There are other misconceptions that scalpers are very aggressive traders prone to large losses. One way to help combat this is to make scalping a mechanical process. This means that all of your decisions regarding entries, exits, trade size, leverage and other factors should be written down and finalized before approaching the charts. Most scalpers look to risk 1% or even less of their account balance on any one position taken! So this brings us to the final question. Who can be a scalper? The answer is anyone with the dedication to develop a trading strategy and the time to implement that strategy on any given trading day. Scalpers should look to systematize their approaches and strategies. Traders can use MACD to initiate positions in a day-trading approach. When a scalper begins their day, there are usually quite a few questions that need to be answered before ever placing a trade. What’s moving the market this morning? Which markets are most active? What drivers (or news) might come out to push the market further? Is my coffee ready yet? These are just a few examples… but suffice it to say that those who are day-trading in markets have quite a bit on their mind every single trading day. Before a scalper ever triggers a position they need to first find the appropriate market environment. For fundamental-based traders, Multiple Time Frame Analysis can be helpful; but more important is their outlook or opinion and the fact that that outlook or opinion should mesh with the ‘bigger picture’ view of what’s going on at the moment. For scalpers, the hourly and 4-hour charts carry special importance, as those are the ideal timeframes for seeing the bigger picture. After that, traders should look to diagnose the trend (or lack thereof). A great indicator for investigating trend strength is the Average Directional Index (ADX). Also popular for investigating trends is the Moving Average Indicator. After the day-trader has found a promising setup, they then need to decide how to trigger into positions, and MACD can be a very relevant option for such situations. Because the trader already knows the direction they want to trade in, they merely need to wait for a corresponding signal via MACD to initiate the position. When MACD crosses up and over the signal line, the trader can look to go long. On the other side of this equation: If the trader had determined the trend to be down on the longer-term chart or if their fundamental bias is pointing lower, they can look for MACD to cross down and under the signal line to trigger their short position. 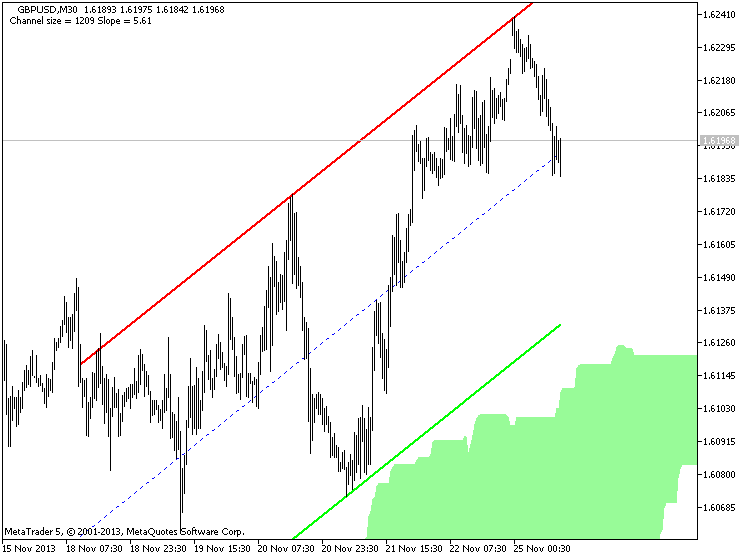 And once MACD crosses up and over the signal line, the trader can look to cover their short position. The aforementioned approach can work phenomenally in a day-trading/scalping approach. But the fact-of-the-matter is that scalping profitably entails a lot more than just a trading plan, and an entry strategy. Risk management is the undoing of most new traders; and day-traders and scalpers fall victim to this susceptibility even more so than most. 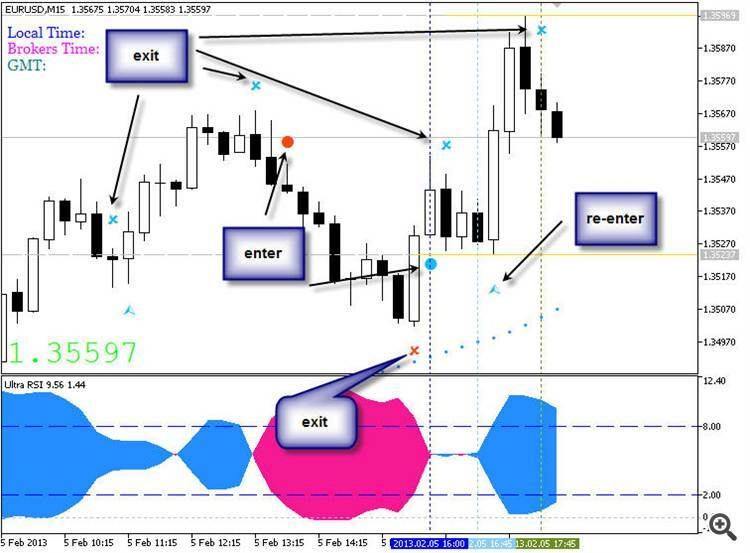 All the ins and outs on scalping the Forex market. 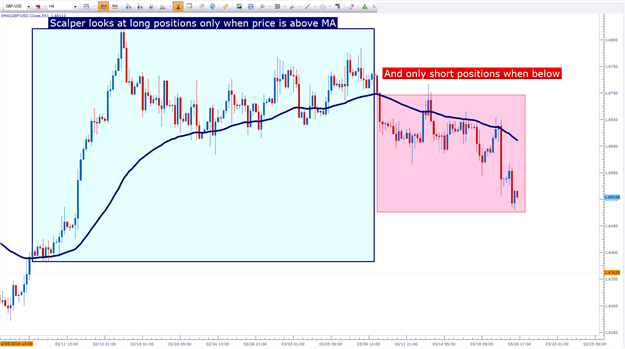 May Chris dives into the world of Scalping where he explains in great detail how this style of trading can be accomplished in the Forex market. This live webinar not only clarifies how a trader can scalp but also provides every Forex trader with a great guidance and extra tips. A lesson on how the central banks of the world participate in the foreign exchange market and move the forex market up and down for their economic benefit. Fundamental traders keep a watchful eye on Central Banks and the policy decisions they make. These intuitions, through changes in monetary policy, not only can affect an underlying economy but by de facto currency rates as well. Today we will continue our look at market fundamentals by examining Central Banks and how their policy decisions can affect Forex prices. Central Banks are institutions used by nations around the globe to assist in managing their country or region with the commercial banking industry, interest rates, and currency prices. Examples of active central banks include the Federal Reserve of the United States, European Central Bank (ECB), Bank of England (BOE), Bank of Canada, and the Reserve Bank of Australia (RBA). The sphere of influence of a central bank may range from a single country such as the Reserve Bank of Australia or, represent policy created for a region or group of countries such as the ECB. Because of this, the actions of Central Banks have the ability to move markets and should be on every fundamental trader’s radar. Normally, a Central Bank will use the monetary tools at their disposal to meet their designated goals. Monetary policy describes the actions taken by a central bank to control the money supply inside of its designated region. Depending on the state of the economy, the fed may select to either take an expansionary or contractionary policy, with the supply of money being influenced by two specific methods. During times of crisis or economic slowdown, central banks will normally look to expand their monetary policy. They can do this by expanding asset purchases which increases the monetary base and by also decreasing interest rates. The theory behind monetary expansionary is to make money available to banks and businesses in an attempt to increase growth and development. As a byproduct of an expansionary policy, fundamental indicators such as GDP are expected to grow and unemployment decline. As the economy heats up, the Fed will consider taking on contractionary measures. At this point, the monetary base may begin to be restricted and interest rates can begin to increase. These actions make excess investment capital scares, and place a higher premium on lending. With less capital circulating, the economy is expected to contract and slow down. During a time of contraction, GDP is expected to decline and unemployment to contrarily increase. Conversely, when central banks loosen monetary policy, this can cause a depreciation of their currency. Lower interest rates can cause lending to increase at lower prices. As well expanding central bank balance sheets can create an excess supply of a currency. With a new larger supply of a currency and with demand being low this can cause prices to drop. Policy decisions and economic releases from Central Banks will occur sporadically throughout the month. The best way to track upcoming news is through the use of a good economic calendar. As these decisions are made, it is also important to track the movements of the market! Behind central banks in terms of size and ability to move the foreign exchange market are the banks which we learned about in our previous lessons which make up the Interbank market. It is important to understand here that in addition to executing trades on behalf of their clients, the bank's traders often times try to earn additional profits by taking speculative positions in the market as well. While most of the other players we are going to discuss in this lesson do not have the size and clout to move the market in their favor, many of these bank traders are an exception to this rule and can leverage their huge buying power and inside knowledge of client order flow to move the market in their favor. This is why you hear about quick market jumps in the foreign exchange market being attributed to the clearing out the stops in the market or protecting an option level, things which we will learn more about in later lessons. The next level of participants is the large hedge funds who trade in the foreign exchange market for speculative purposes to try and generate alpha, or a return for their investors that is over and above the average market return. Most forex hedge funds are trend following, meaning they tend to build into longer term positions over time to try and profit from a longer term uptrend or downtrend in the market. These funds are one of the reasons that currencies often times develop nice longer term trends, something that can be of benefit to the individual position trader. Although not the typical way that Hedge funds profit from the market, probably the most famous example of a hedge fund trading foreign exchange is the example of George Soros' Quantum fund who made a very large amount of money betting against the Bank of England. In short, the Bank of England had tried to fix the exchange rate of the British Pound at a particular level buy buying British Pounds, even though market forces were trying to push the value of the Pound Down. Soros felt that this was a losing battle and essentially bet the entire value of his $1 Billion hedge fund that the value of the pound would decrease. The market forces which were already at play, combined with Soro's huge position against the Bank of England, caused so much selling pressure on the pound that the Bank of England had to give up trying to prop up the currency and it preceded to fall over 5% in one day. This is a gigantic move for a major currency, and a move which netted Soros' Quantum Fund over $1 Billion in profits in one day. Next in line are multinational corporations who are forced to be participants in the forex market because of their overseas earnings which are often converted back into US Dollars or other currencies depending on where the company is headquartered. As the value of the currency in which the overseas revenue was earned can rise or fall before that conversion, the company is exposed to potential losses and/or gains in revenue which have nothing to do with their business. To remove this exchange rate uncertainty many multinational corporations will hedge this risk by taking positions in the forex market which negate any exchange rate fluctuation on their overseas revenues. Secondly these corporations also buy other corporations overseas, something which is known as cross boarder mergers and acquisitions. As the transaction for the company being bought or sold is done in that company's home country and currency, this can drive the value of a currency up as demand is created for the currency to buy the company or down as supply is created when the company is sold. 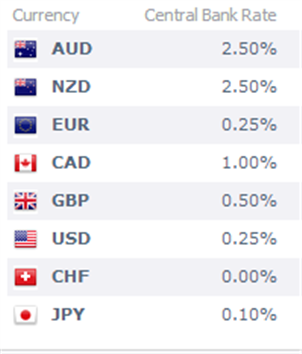 Lastly are individuals such as you and I who participate in the forex market in three main areas. 1. As Investors Seeking Yield: Although not very popular in the United States, overseas and particularly in Japan where interest rates have been close to zero for many years, individuals will buy the currencies or other assets of a country with a higher interest rate in order to earn a higher rate of return on their money. 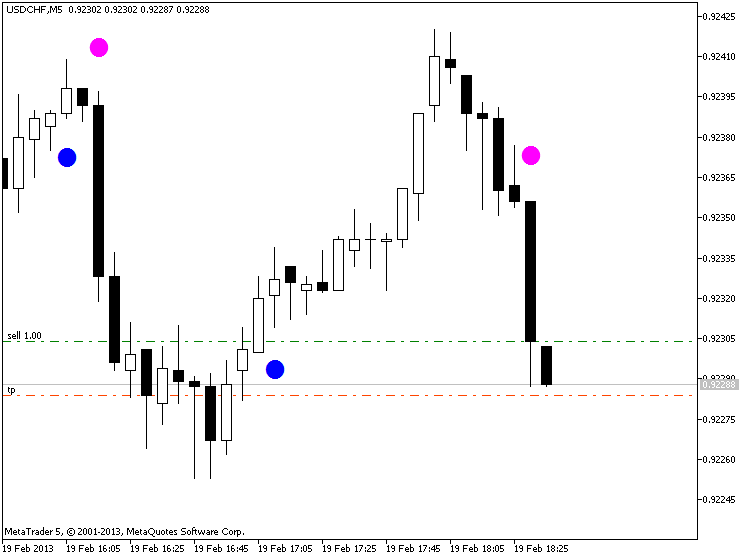 This is also referred to as a carry trade, something that we will learn more about in later lessons. 2. As Travelers: Obviously when traveling to a country which has a different currency individual travelers must exchange their home currency for the currency of the country where they are traveling. 3. Individual speculators who actively trade currencies trying to profit from the fluctuation of one currency against another. This is as we discussed in our last lesson a relatively new phenomenon but most likely the reason why you are watching this video and therefore a growing one.